Some of us might be a little baffled by a game like Farming Simulator 15, but the fact is that sim games are quite popular. Yes, even farming ones. 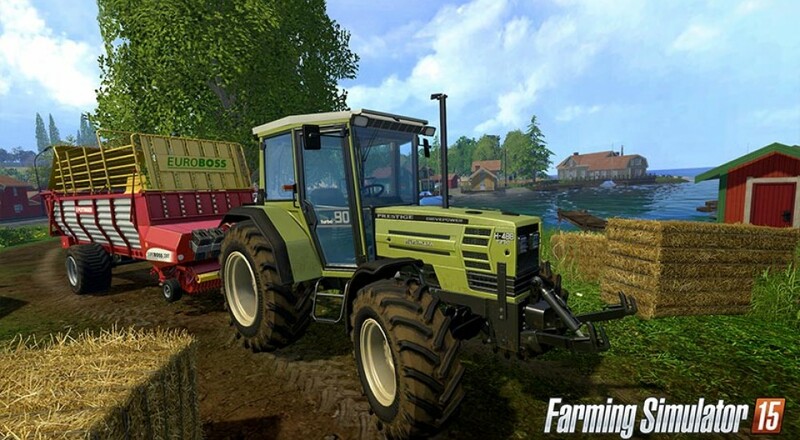 The last version of Farming Simulator sold over 2 million copies, in fact. So if you're a Farming Simulator fan, this one's for you. Giants Software has released a new trailer for Farming Simulator 15 which is entitled A Day on the Farm. It's a peaceful trailer which showcases actions such as driving, hoeing, and planting seeds as well as important farm items such as greenhouses, chickens and cows! It also features some terrifying machines that will probably be haunting my nightmares tonight, thank you very much Farming Simulator 15. Farming Simulator 15 is due out in a couple of weeks on PC, October 30th to be specific. It will be releasing on PS3, PS4, Xbox 360, and Xbox One sometime early 2015. It will support up to 15-player LAN co-op, which is 5 players more than Farming Simulator 2013. Page created in 0.3577 seconds.